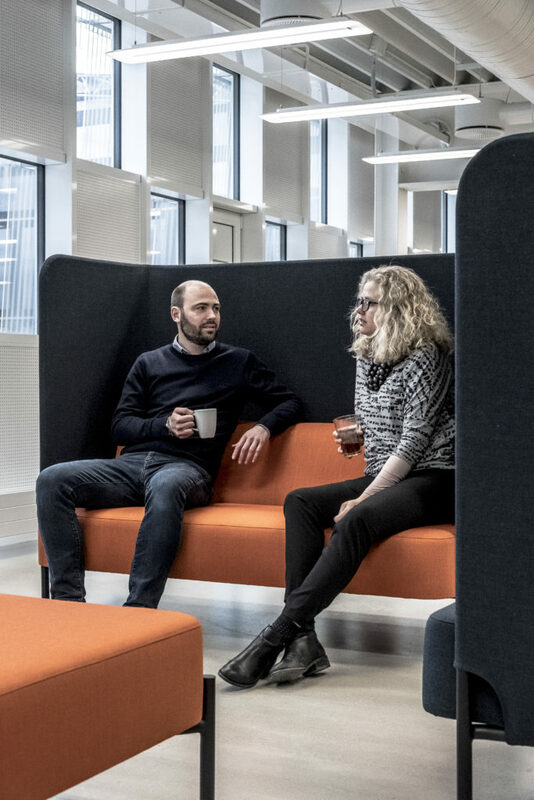 The goal of the municipality of Albertslund was to create an excellent working environment that would increase employee satisfaction and productivity and ensure that future employees would have the right light for any given task. Also, due to the Power-over-ethernet (PoE) technology, the purpose was to use the data from the building in a smarter way, thus making the building more energy efficient and flexible to use, while also enhancing the user experience. 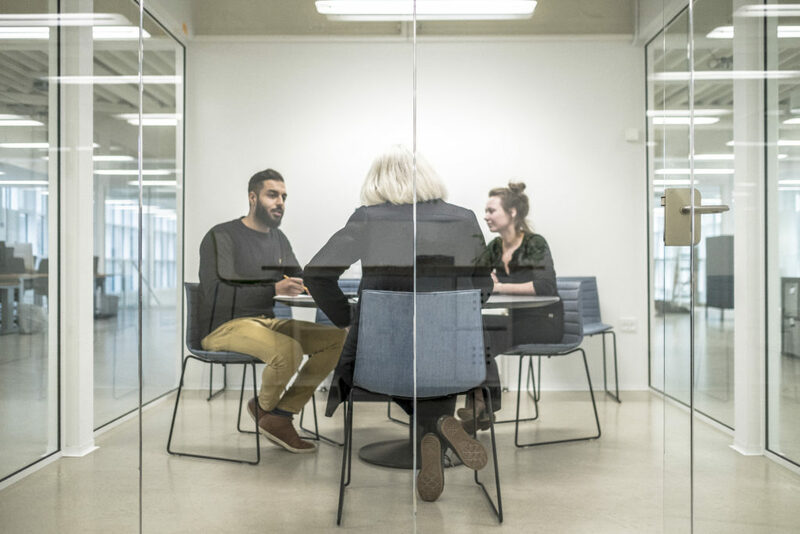 To reach these goals, the partner group has developed a digital ceiling based on PoE technology – the first of its kind in Denmark. A converged IP network connecting multiple network/IOT devices in a single network and cable infrastructure. The combined Ethernet based infrastructure carries both data and power in one single category 6 cable. 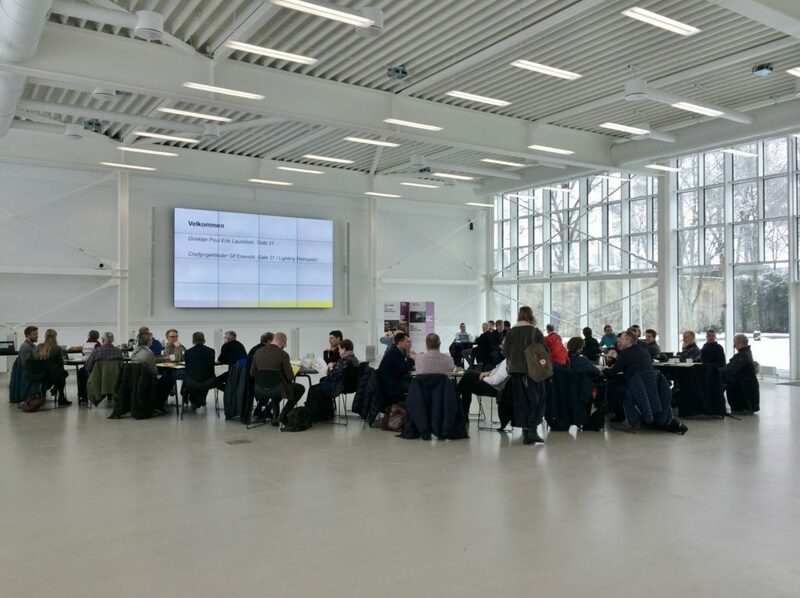 The IoT based technology provides the building managers within the municipality with unique insights into energy use and space utilisation also providing insights on future municipal buildings. The smart office features a Philips PoE connected lighting system with occupancy sensors integrated in Philips SmartBalance and Philips PowerBalance luminaires. Approximately 450 LED light fixtures are connected to Cisco’s secure networking technology and powered by the small electric charge carried by the network’s Ethernet cables, which also routes data acquired by the sensors to the building’s management system. Data acquired by the sensors in the lighting fixtures will provide new insights into the building’s use and operations. Information such as the light levels, energy consumption and room occupancy will help building managers optimise energy use and management of the office space. The connected lighting system also gives office workers the ability to control the lighting and other building services with their smart phones. All the networking gear is controlled and managed by Cisco Prime, while Cisco ISE (Identity Services Engine) is used for identity check to enable guest access to the network. The solution also enables movement maps, so it is possible to see how people are moving around in the building based on wifi signals. A single Ethernet cable carrying IP data connects everything in the smart building. As an added benefit, Gate 21 chose to install Cisco Collaboration equipment to facilitate video meetings, conference video rooms, meetings on the go and wireless PowerPoint presentations – all installed by Cisco Gold partner TDC. A central Cisco network ethernet based IP-core, which is connected to approx. 57 smaller local, connected ceiling mounted 8 Ports UPoE Cisco switches. The switches bring PoE power to the 450 Phillips LED luminaires and carry IP data back on the same wire (Cat6 Ethernet) to a centrally placed Phillips server, which controls the lighting behaviour based on people, time of day, outside lightning, type of service, etc. Cisco Core network based on 4x Catalyst 3850-48 UPOE/MGIG/SFP+ switches. Cisco UCS server with Apps (Cisco Prime, Cisco ISE, Cisco CMX, Phillips light server) to control and manage and secure the clients, network and fixtures. Cisco Digital Building 57×8 port switches to enable the UPOE Phillips light fixtures. Cisco Wireless Lan Controller 2504 and 25x3802AP´s with dual 5GhZ ACwave 2 Mgig Ap´s for the enhanced wireless solution. Cisco Webex boards 4×55 inches 1×70 inches and 10xDX80 21 inches + Webex clients and Webex room kit for large conferences, for innovative collaboration and video presenting. TDC has installed and is servicing the solution. The effects on the user of the smart building, based on PoE lightning only, is rather limited, but when combined with new and advanced collaboration tools, it has a very positive impact on the end-user to work smarter. We will conduct a survey asking the employees how they feel about the light and the smart building in general, compared to their old office building. The project illustrates how new technologies evolve incredibly fast which sometimes changes the circumstances. In this case, the focus changed from focusing only on smart building/energy efficiency to smart working, using new and advanced collaboration technologies. When dealing with brand new technologies, the project owner needs to be aware of possible changes in the outcome – both benefits and challenges. The project has also changed hands many times through the years resulting in important info getting lost along the way. 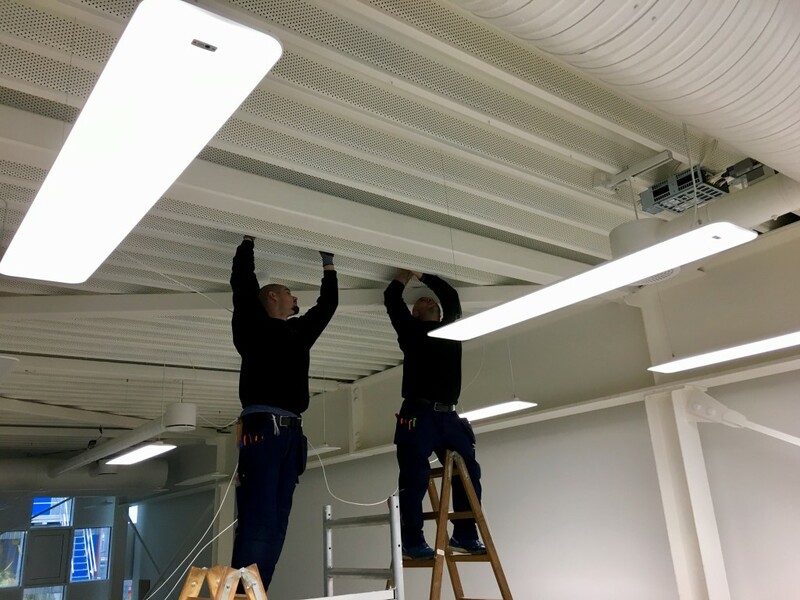 The municipality of Albertslund sees the energy-efficient connected office lighting system as a paradigm shift in public digital management and service, and the new connected lighting system provides the municipality with an infrastructure fit for the digital age. The municipality expects the results to be promising enough to broaden the use of such technology to other municipality buildings – with the initial focus on buildings used for administration, healthcare and learning. Environments where lighting can be adjusted by staff to meet their needs and have sensor-based functions are becoming increasingly important. 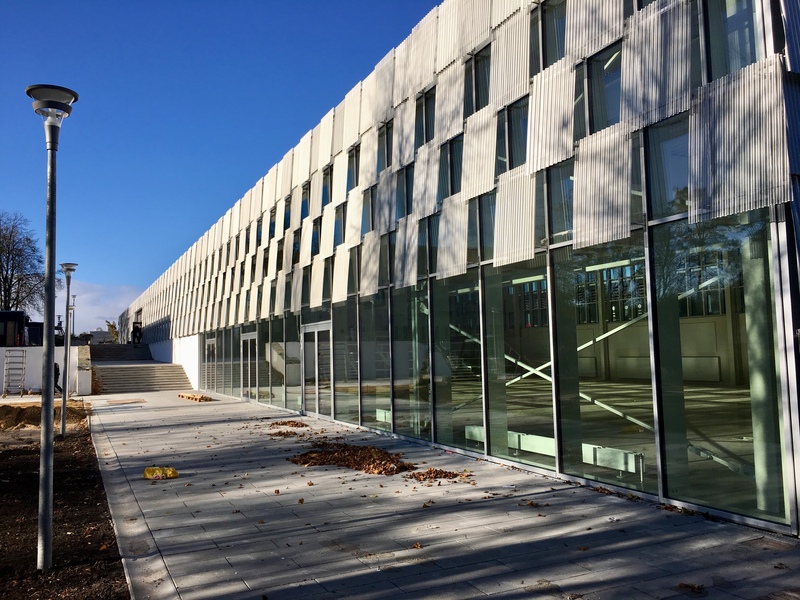 New building and new office, for Gate 21 and the secretariat for Lighting Metropolis. Visitors are welcome. 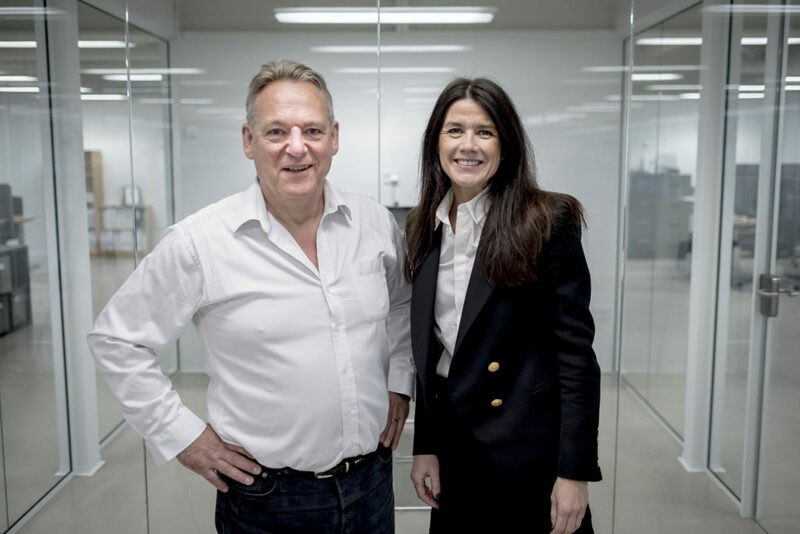 Partners in light – Niels Carsten Bluhme, City of Albertslund & Astrid Simonsen Joos, Signify.